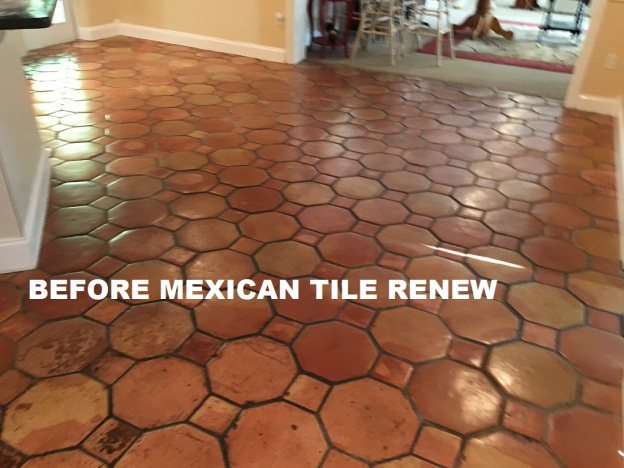 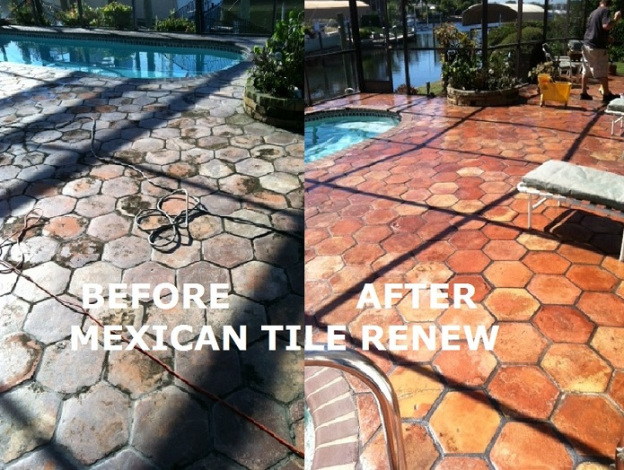 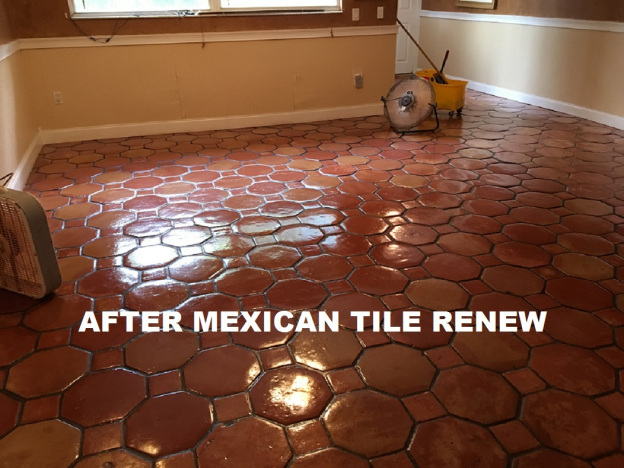 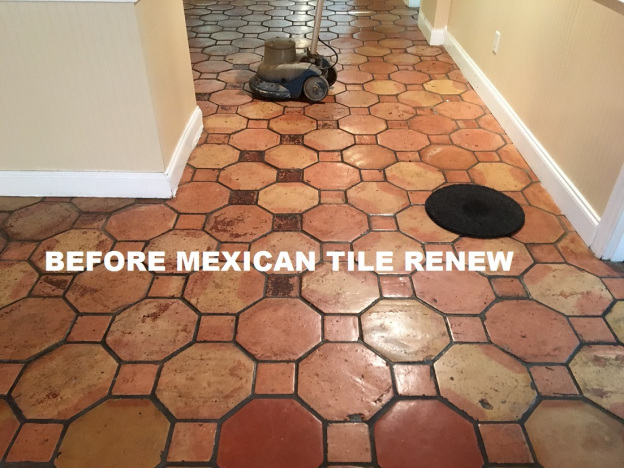 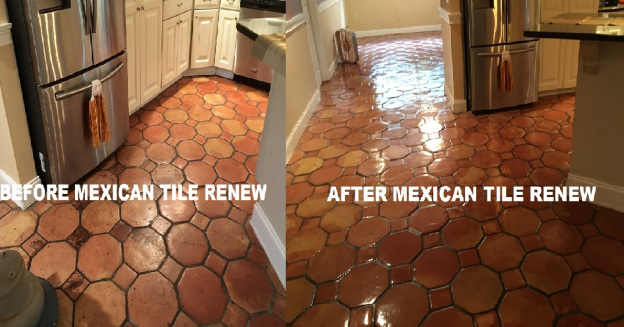 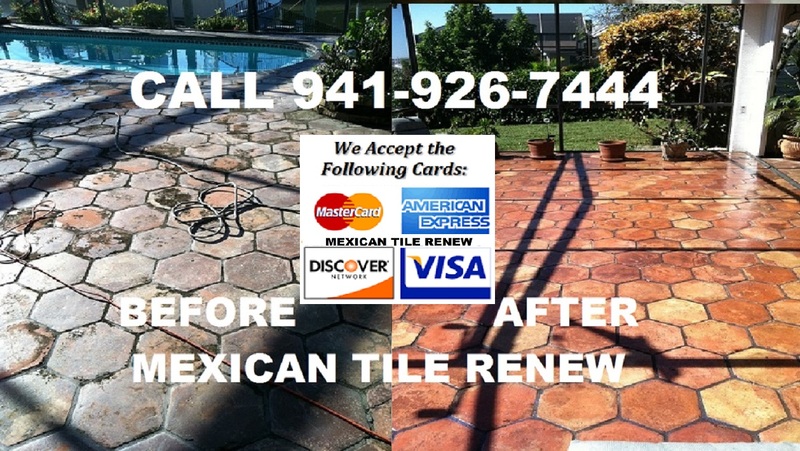 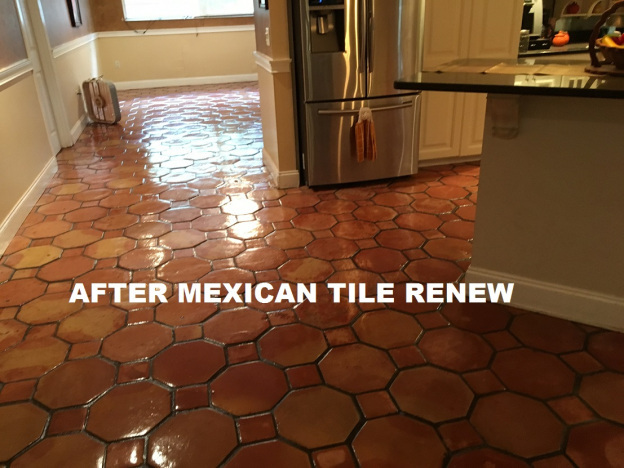 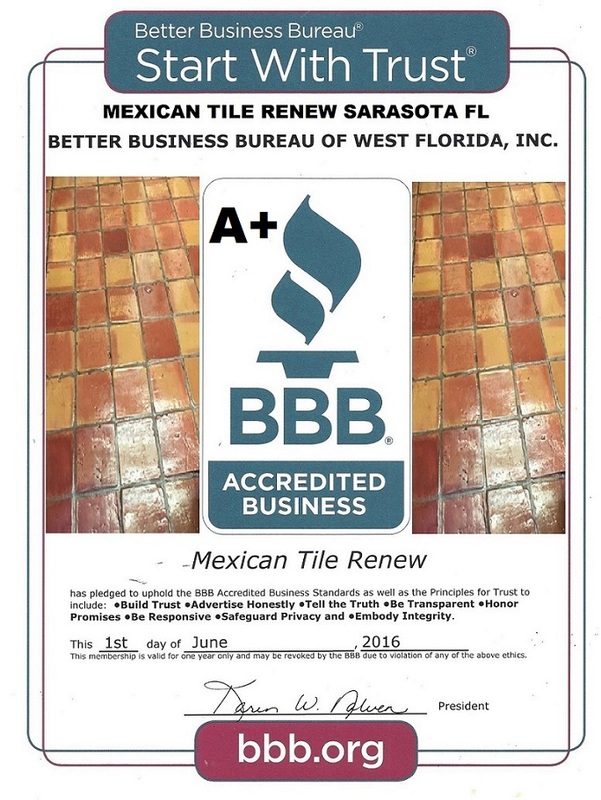 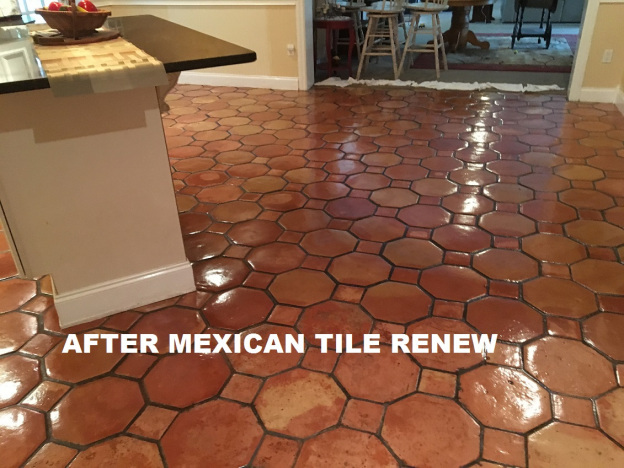 MEXICAN TILE RENEW PROJECT ON TILE FLOOR IN NOKOMIS FL THAT HAD NOT BEEN RESURFACED IN 20 YEARS. 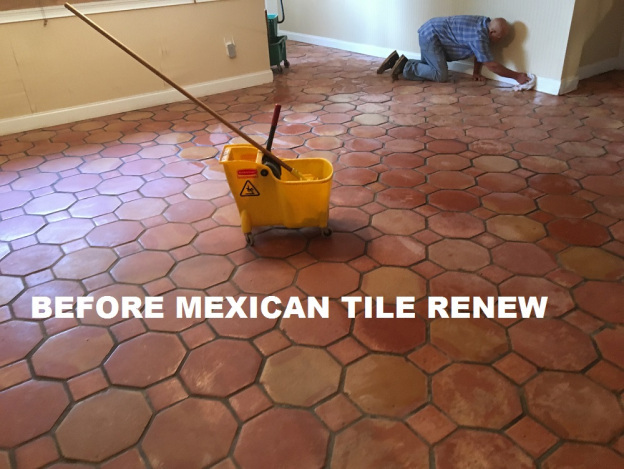 THE FLOOR WAS CHEMICALLY AND MECHANICALLY STRIPPED, CLEANED, AND RESEALED TO A LIKE NEW APPEARANCE. 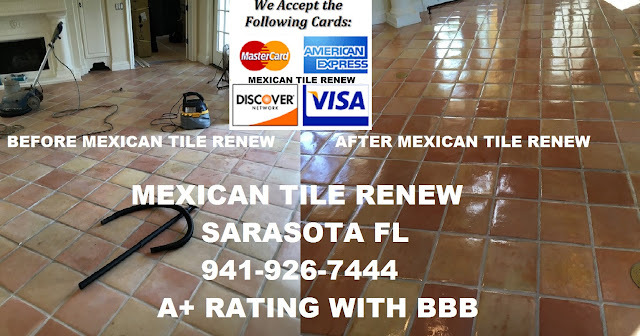 THE SMALL BROWN SQUARES ARE NOT SUPPOSED TO BE BROWN, SEE AFTER PHOTO.